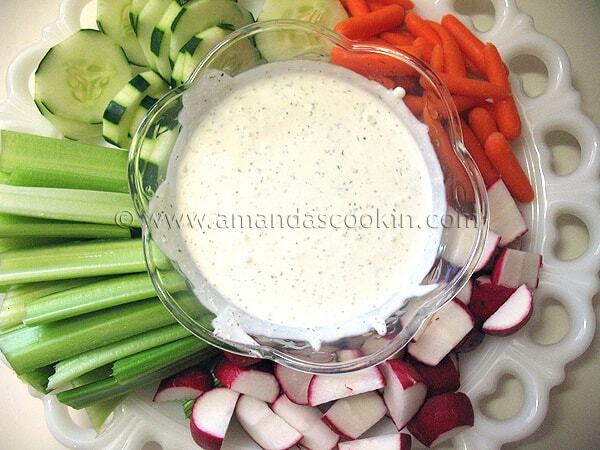 I needed a tasty dip to serve with fresh vegetables, so I scoured the cookbooks on my shelf. 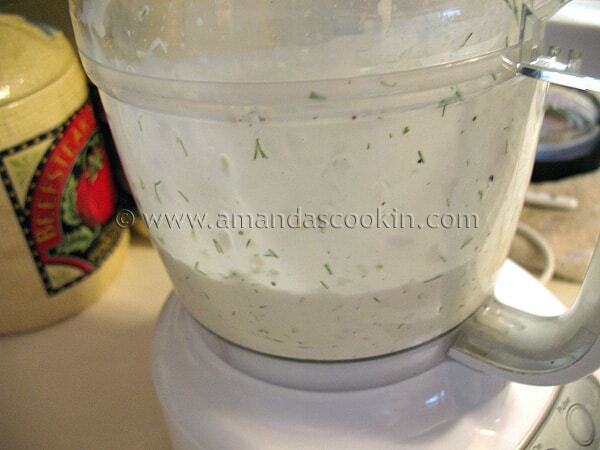 That’s when I remembered having this dill dressing recipe bookmarked. It’s super easy to throw together, tastes great, and has that marvelous fresh dill flavor. 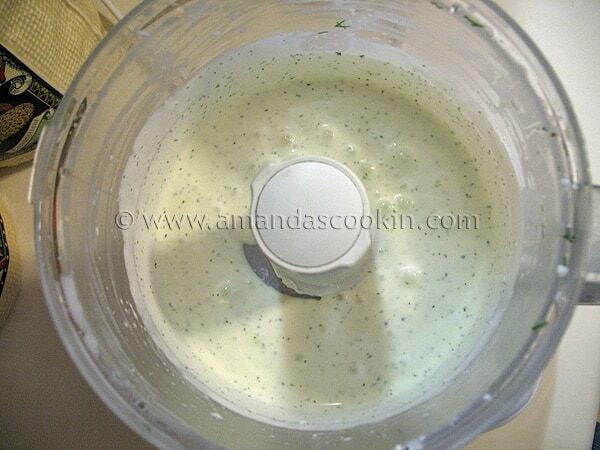 The cookbook I found this in, [amazon_link id=”0778802507″ target=”_blank” container=”” container_class=”” ]650 Best Food Processor Recipes[/amazon_link], also suggests trying this dressing on fried fish or sliced cucumbers. 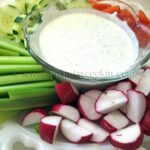 This is a great salad dressing or perfect for veggie dipping. 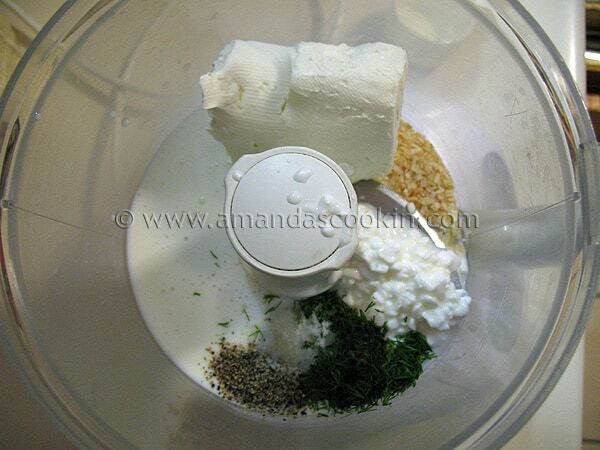 In work bowl fitted with metal blade, process cream cheese, cottage cheese, buttermilk, dill, onion flakes, pepper and salt until smooth, about 2 minutes. I never would have thought to use cottage cheese-interesting! I’m a big fan of dill dip and could eat that entire bowl. Looks great! 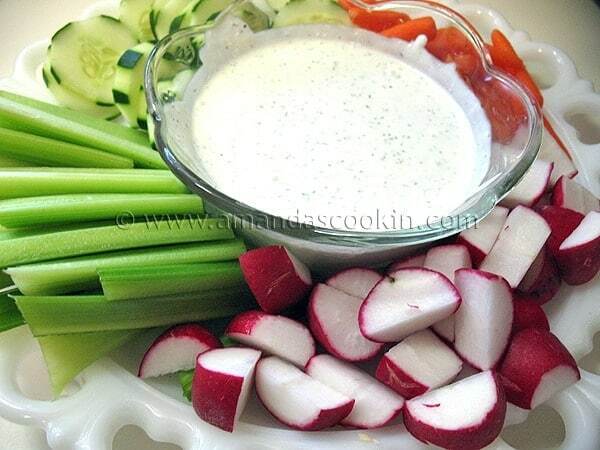 This is a great fresh dip recipe to have on hand. Fresh dill adds wonderful flavor.